Welcome to the new & exciting RAINWATER TANKS DIRECT, a one-stop online water tank shop. A water tank is the QUICKEST & EASIEST way to solve all your water shortage problems and SAVE Money on your next water bill, plus you can help protect precious water reserves. At Rainwater Tanks Direct we take advantage of our low online overheads by passing on great water tank prices to you! We guarantee you HIGH QUALITY AUSTRALIAN MADE WATER TANKS, along with high quality service, advice and accessories at competitive prices. We are an online water tank supermarket and can offer you a wide range of Australian branded tanks, pumps and accessories. We can SAVE you time and money and pride ourselves on being able to find a solution to your rainwater tank requirement. 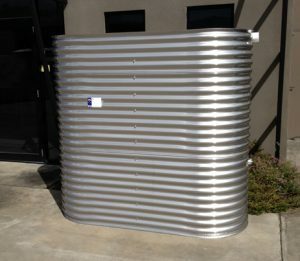 Our water tanks are manufactured in Australia by leading poly, steel, stainless steel and concrete water tank manufacturers. We can supply you with water tanks throughout Queensland, New South Wales, Victoria, South Australia and Western Australia – with an even greater range of tanks in Sydney, Melbourne, Brisbane, Adelaide and Perth. We can help you just about ANYWHERE in Australia. 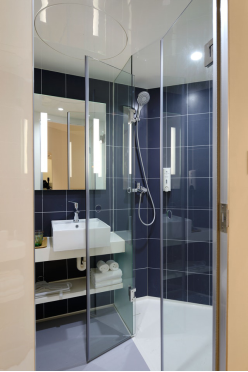 We do not provide a water tank installation service, but depending on where you are located, we may be able to refer you to an experienced plumber to provide you with an installation quote. 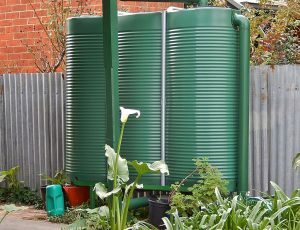 We also have online rainwater tank installation instructions for round and slimline above ground polyethylene tanks, steel tanks and stainless steel tanks, as well as for underground poly tanks and underground concrete tanks. We regularly add new rain water tanks and rain water tank products to our web site, and as always, our rainwater tank prices are the BEST around. We hope you enjoy visiting our web site and the Rainwater Tanks Direct experience. If you have any questions about storage tanks, comments on poly tanks, some feedback or just need some FREE ADVICE on your rainwater harvesting or water tank installation requirements, please don’t hesitate to contact us. Rain Water Tanks Direct gives the customer what they want, fast delivery, and quality tanks, pumps and accessories at fantastic prices! 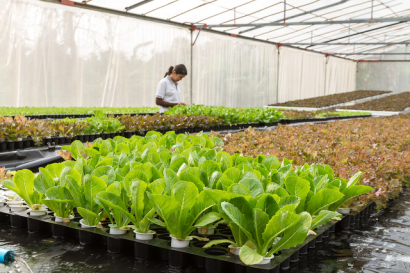 We are the only ONLINE rain water tank supplier capable of providing you with real Australia wide alternatives and sustainable solutions for the Australian climate and the recurring water shortages many experience. 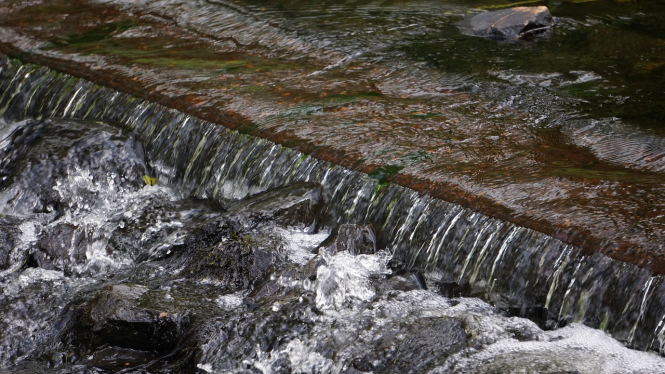 Our service will meet your rainwater storage requirements and dramatically REDUCE your water bills. We also GUARANTEE you’ll save time, money and stress by using our unique online rain water tank service to purchase your next water tank! Browse through our water tanks and accessories online and then call us to ask a question or place your order. Rainwater Tanks Direct supplies water tanks by National Poly Industries, Clark Tanks, Team Poly, Tanks Direct, Poly Water Tanks, Supatank, Rotadyne, All Weather Tanks, Heritage, Nylex and others, to give our customers a wide choice of poly, steel, stainless steel and concrete rainwater tanks. We also sell a range of rainwater pumps from Reefe, Claytech, Davey, Grundfos, DAB and Bianco as well as a range of rainwater tank accessories including first flush diverters and Crystal Filters. We also have water tank gauges available with some tanks. Rainwater tanks have become increasingly important as water storage for drinking, washing cars, watering gardens, flushing toilets and washing clothes – and as water storage for fire safety. There are still water tank rebates available in Australia, so you should always check with your local water authority or council for water tank rebates that may apply to you. 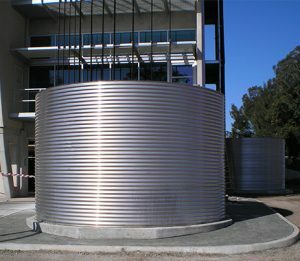 Rainwater Tanks Direct offers many different shapes and sizes of slimline water tanks, round water tanks, under deck water tanks, underground rainwater tanks and chemical and molasses tanks. We also supply a range of bladder rainwater tanks. Our premium range of round plastic water tanks are made from food grade, UV stabilized polyethylene and are manufactured using the rotational moulding process to the Australian Standard for Water Tanks. Our above ground poly rainwater collection tanks are available in sizes from 300 litres to 50,0000 litres and are available in many Colorbond matched colours to blend in with your home and the environment. Live in a bushfire prone area? Need a fire resistant tank? We have a full range of steel tanks for fire safety and firefighting fittings to suit your needs. Call or email us for a quote today, or visit our Steel Tanks page to see our range. Our underground poly water tanks are available in several models and sizes from 1000 litres to 5000 litres, while our underground concrete water tanks can be made up to 25,000 litres in Victoria. In NSW we have concrete underground tanks up to 11,000 litres. Concrete tanks are also great as a fire resistant tank for bushfire prone areas. If you’re someone who has an eye to the future and wants to save money, as well as have adequate water for your needs, without being penalized, it’s common sense to have a tank and your own water supply on tap, don’t you think? The new & exciting RAINWATER TANKS DIRECT – a one-stop online shop is the QUICKEST & EASIEST way to solve all your water shortage problems and SAVE Money on your next water bill, plus protect our precious Water Reserves. 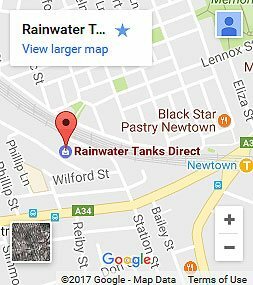 Call Rainwater Tanks Direct now on 1300 889 490 to help with all your rainwater and water tank needs. Want to install a rainwater tank? Save on your water bills. Save water. Reduce your impact & make a difference. 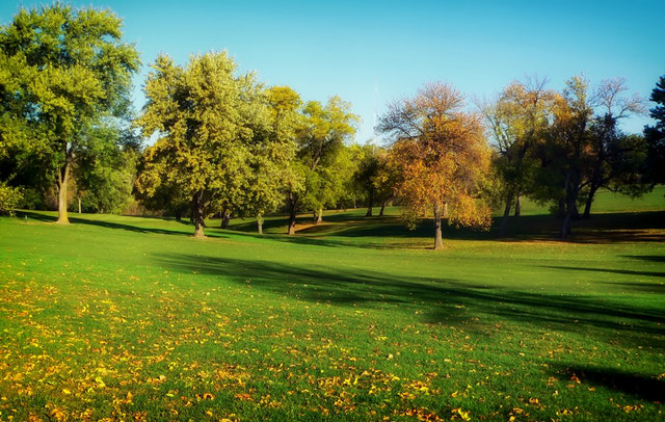 *Council rebates up to $3000 are available.